Any back hoe thumb can pick up a stick or a rock. Not all can grab and hold like the BXpanded Barracuda Thumb. Its toothed edges, strategically curved jaws, and close closing gap give an aggressive grip other BH thumbs can’t match. The telescoping adjustment has five positions allowing you to easily move the thumb from stowed to any of several working positions in seconds with no tools and no extra parts. 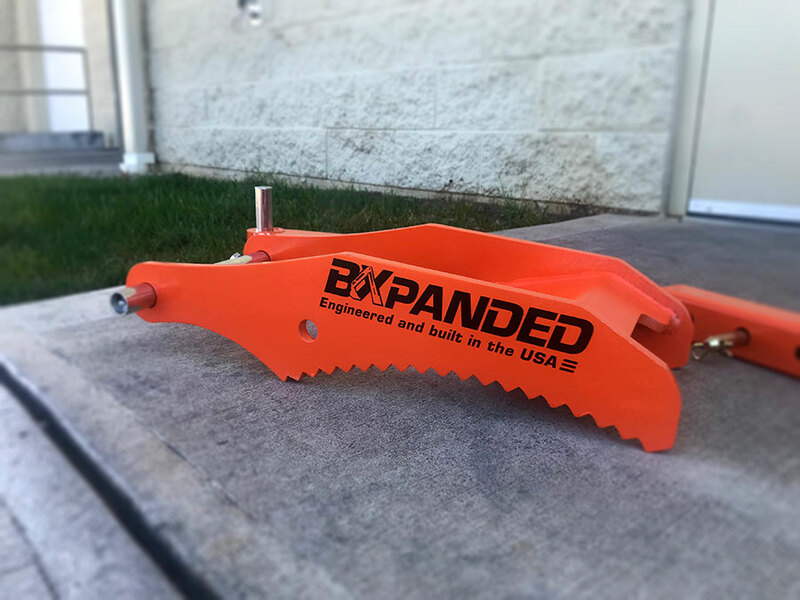 Two jaw lengths are offered to accommodate various backhoe buckets and equipment. 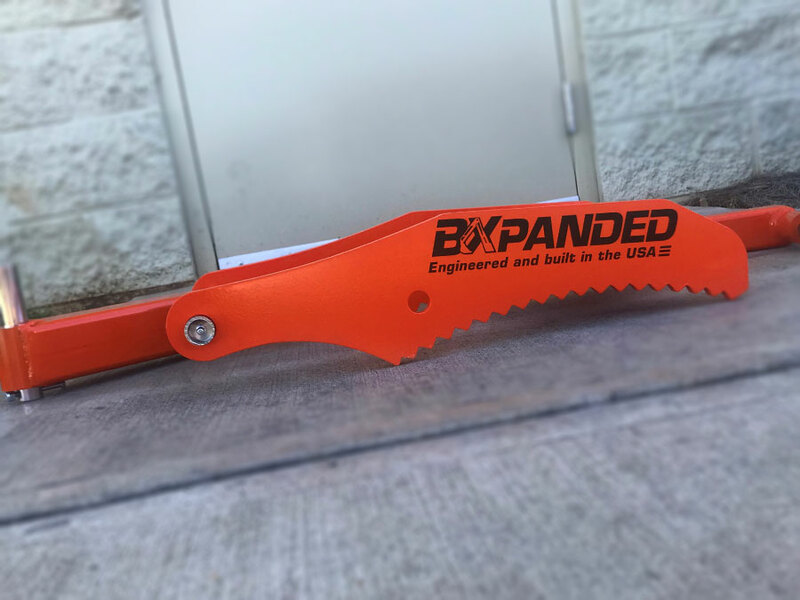 The "short" jaw matches closely in length to the factory Kubota thumb and is designed to go above the teeth of the bucket so that it can be used with three, four, or five tooth buckets as well as all other BXpanded backhoe accessories. 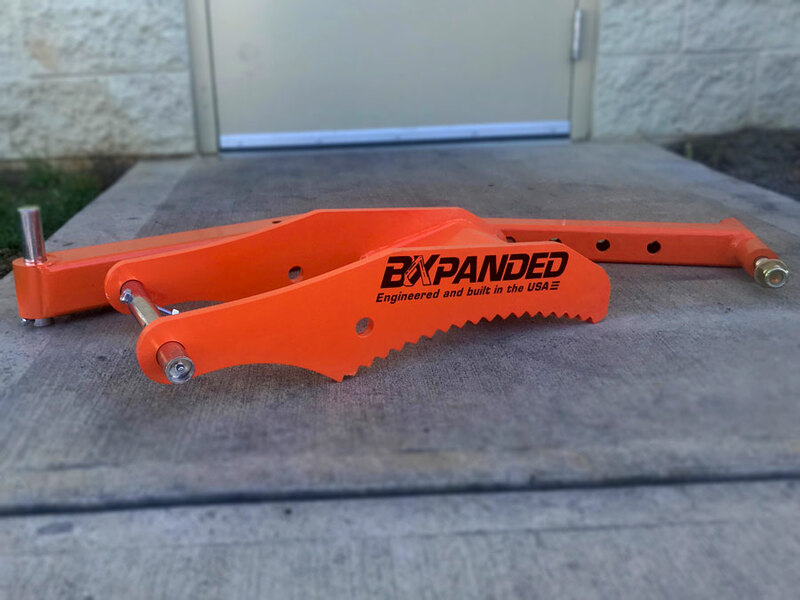 The "long jaw" is designed for use with three or five tooth buckets installed directly on the backhoe since it will mesh between the teeth or can be used with three, four, or five tooth buckets when installed using the BXpanded Quick On Backhoe Bucket connector. 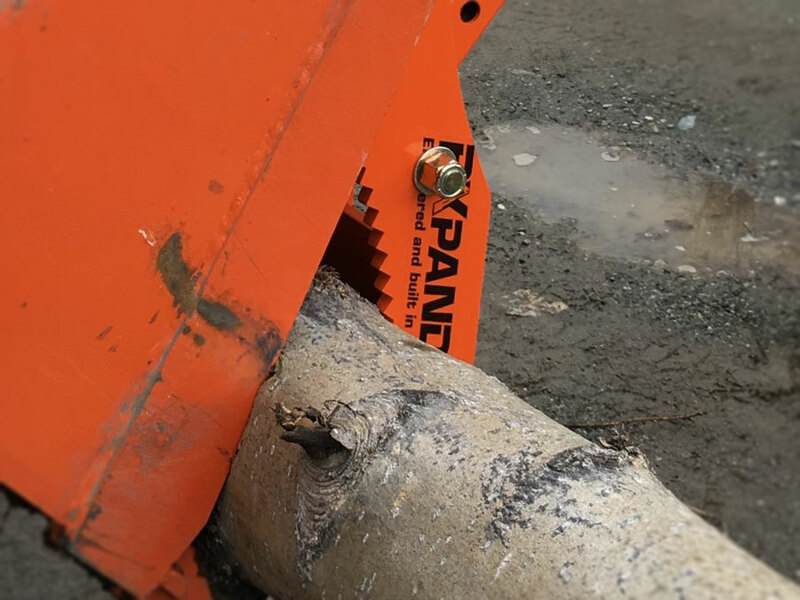 The Factory Mount Barracuda uses the factory installed upper thumb attachment point on the dipper stick and a longer pin with grease passage through the forward most hole in the backhoe bucket for attachment. The pins and bolts are plated for corrosion resistance. It’s built with US made, 1/2” thick steel and heavy wall tubing, with all the strength you’ll need to use every bit of the power of your machine. It’s TOUGH! Just like the job you have to do!